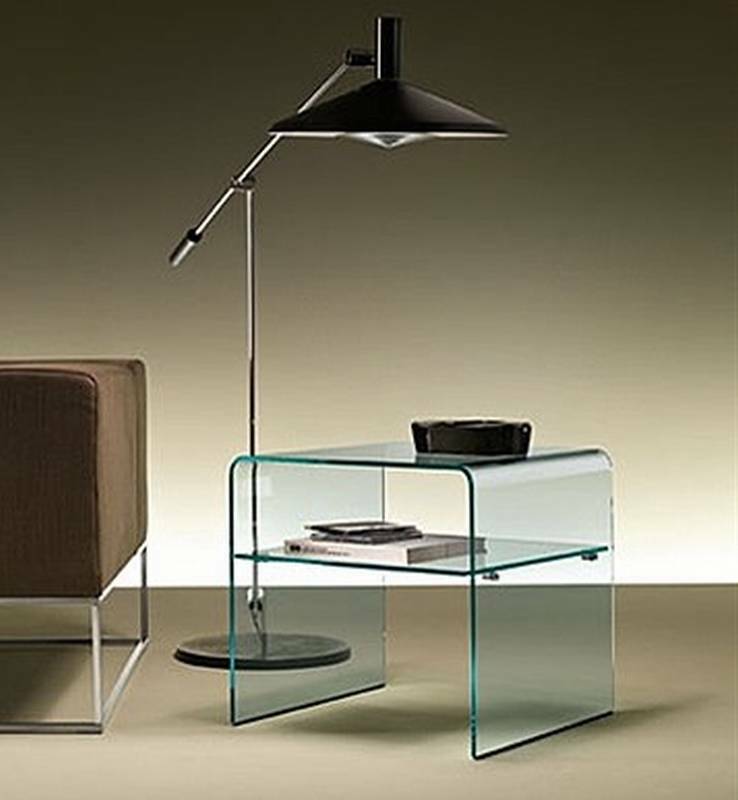 Description Bedside table/side table in 8mm thick curved glass. Available with a drawer in elm or tobacco oak (dark) or with an 8mm thick glass shelf. 2 heights available.